Taraji P. Henson, Octavia Spencer, Janelle Monáe et al. DVD: 121 min., Blu-ray: 121 min., 4K Blu-ray: 121 min. 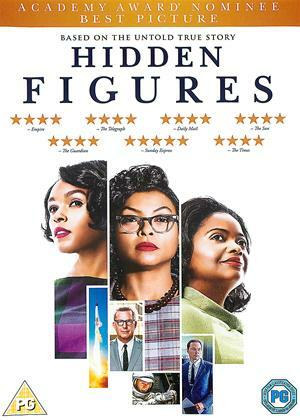 "Hidden Figures" tells the incredible untold story of Katherine Johnson (Taraji P. Henson), Dorothy Vaughan (Octavia Spencer) and Mary Jackson (Janelle Monae) - brilliant African-American women working at NASA who served as the brains behind the launch into orbit of astronaut John Glenn (Glen Powell), a stunning achievement that turned around the Space Race. The visionary trio crossed all gender and racial lines and inspired generations. (7) of (21) members found this review helpful. 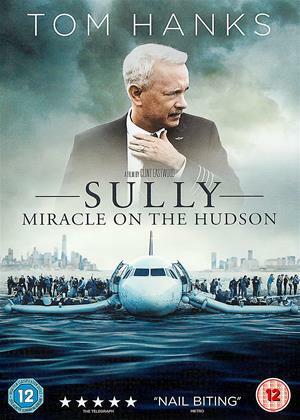 This film is watchable in a plodding predictable way and we all know the plot trajectory these days. Basically, someone (who is NEVER a white man) works somewhere and faces opposition because of their race and/or gender so get kept down (while utterly useless white males, yet the ones who invented everything and made space travel possible, are shown as racist and sexist monsters). Of course, the female and/or black hero wins through in the end and everyone realises they're a total genius who has been kept down by racism and sexism. All very well, but it's JUST NOT TRUE. It is a LIE to claim the US space programme only worked because of 3 genius black women - they were part of a data processing team, sure. They crunched numbers. Women still dominate data-input and processing staff in firms now. But really, if one is to tick boxes, one would see the vast majority of the team who achieved that were white males. The main white character here played by Kevin Costner is a composite of 3 white males. There is a glaring gender issue here: for whatever reason (innate reasons are probably the main cause), 19 our of 20 people in the top 10% IQ band are male; university maths courses are 80%+ male, as are physics classes (why schools in a female-friendly male-unfriendly school system struggle to get maths and physics teachers - coz most are male and they've left teaching for better careers). Hollywood can claim what it wants and rewrite history - as it did with ARGO and U571 and THE PATRIOT. Fine. But it's VERY dangerous because people esp kids believe this to be true history and it's not. It's inspired by the racist African-American movement that aims to claim people in history as 'our own' - so absurdly claim that black people invented cars, vacuum cleaners, lawnmovers, washing machines etc etc etc. The feminist industry does the same. Neither interest me - what interests me is the truth. Rewriting the truth is WRONG - it's what the Communists did and what the Fascists did and what the Chinese and North Koreans do now. The USA has its own race issues and movies like this are made to 1) assuage white American guilt; 2) pander to the present 'political correctness' in Hollywood. But I don't see why I have to swallow the lies such movies spew out. Fine, make a movie about black women at NASA but DO NOT claim they invented the wheel and were geniuses or that all white men are and were racist sexist monsters. Because that is a lie. L.I.E. Just one example: NASA in fact banned segregated toilets in 1958. Think of that FACT when you watch this FICTION which promotes the lies that these black women had to use black only toilets. They didn't! The film starts in 1961! The black women because NASA supervisors in 1948 and 1958 - at a time this movie claims blacks were little better than slaves and denied all promotion at NASA. No-one in the USA dares to speak out about the lies in this movie and those expressed elsewhere - to do so would be as dangerous as opposing communism in communist Russia. Now, THAT'S bullying. Even if Hollywood has taken liberties with the truth, the whole truth and nothing but the truth, oh for heaven's sake, this is a story that needed to be told and full marks to all those involved with bringing it to the big screen. It was interesting to think of the word "computers" meaning people who compute, rather than the machines that do so. 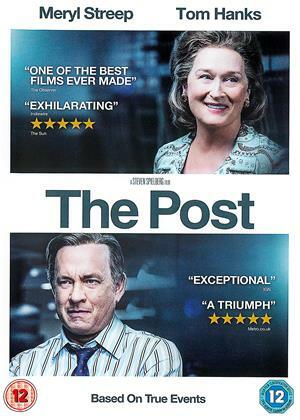 My husband and I thoroughly enjoyed this film and have recommended it to our friends and family, including those in the USA. The extras give some good background too. A good film, well-acted and entertaining. Films are generally for entertainment, if you are looking for historical accuracy, then I would suggest watching a documentary or reading a history book. I would no more expect complete historical accuracy from a film, than I would expect to get a lesson in British History from Shakespeare. A good film to watch on a Saturday night though. When I first staring watching this film I began to get angrey at the racism and nearly turn off ,but kept watching it summed up the inborn racism that existed in certain states in America , but I stayed with it and turned out to be one off the best films I’ve watch for a long time , it’s a film that everyone should watch , and see what these black intelligent ladies achieved against all odds, and not a word was ever mentioned in NASA history of their role in it . I thoroughly enjoyed it and was cheering for them at the end ,and I’m a white woman who being just a woman can cause prejudiced . 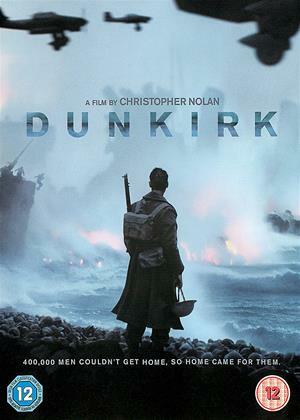 While taking some points from the review which argues how Hollywood distorts history and facts, the viewer cannot fully deny the merits of this film. The very point that three black women took important roles at NASA, during this period, as mathematicians and as engineers, is surely a powerful message. Most significantly for black girls , studying and working today, in terms of aspirations and self-image; then secondly to the other non-black Americans (not only Caucasians) who have prejudiced or discriminatory views about black people, and black women in particular. Even those who consider themselves to be non-racist, liberal, socialist, or just fair, will have the point made very strongly in this film: black women can be much smarter than you. Many black women are most likely smarter than you. I know that they are smarter than me. The very notion to a post-slavery US can be subversive. Certainly to the gated communities of the privilege that popular university campuses, and then corporate recruitment processes. Yes, some of the family scenes in this movie are schmaltz, and are have the smell of racial stereotype about them. Not the marriage proposal scene, in front of all the children - people of colour as saints and paragons of society (an over compensation for the opposite image). Yet it is a warm and witty drama, that surprises with its facts and truth. Plus the Kevin Costner character (ignored by the above hostile review) is hardly a personification of white man evil. On the contrary, Costner does his usual excellent job as the paragon of conscience and justice. This film is not going to set your world on fire, but it is very satisfying and does prompt valuable self-questioning, as to one's true attitudes to people of African descent, in particular to women. Of course that's why some men will hate it. The subjects of this deserve better than this "us versus them" treatment. Why are all the other NASA employees stereotypically bigoted? Oh, and then they miraculously soften up by the end. Don't insult my intelligence! This was a first class film, telling a good story. To what lengths the story was true or not wasn't my concern. The film expressed some naked truths of the time (e.g. Black v White toilets) and described the undervalued position of black people and women well. Octavia Spencer was excellent and I remember her being very good in 'The Help'. Putting the historical accuracy’s to one side (this is Hollywood after all) it’s a great film for a Saturday night. There are no surprises in the plot but it’s well acted and the story moves along at a nice pace. Thoroughly recommend, not sure why there are downvotes for it as it’s pretty clear what the film is about. that era at least. Nevertheless entertaining in an unexciting sort of way. Wonderful movie which we both loved. Uncomfortably true in places but characters were believable and all had great portrayals. Really really enjoyed it and sad when it was over. (1) of (6) members found this review helpful. Emily Pankhurst started the suffragette movement which lead to the emancipation of women. Well they have a few more rights now, but the glass ceiling is still there. Just as the abolition of slavery has not lead to racial equality as it should have. This film touches on both these aspects and tells an important story. There are some women who are cleverer and more capable then most men, but men still get the top jobs. Very few who are not white make it to the top, with a few exceptions. This tells the story of the computing unit, an office of women used for calculations before the advent of computers as a routine office tool. It shows how their work was vital in NASA' role in the conquest of space. It shows how women, particularly black women, were treated in the work place in the 50s. It also shows how NASA strove to improve things with Kevin Costner playing his part. I do not know if this is accurate; I am not American and I was busy trying to make my way in the world at the time, but I can believe it. The film ending credits give credence to the acceptance of these heroines, but why did it takes so long for this story to come out. I would really recommend this true story of sensational ground breaking women. Great performances but all. I knew I wasn't going to enjoy this film very quickly .What I saw i found contrived & boring hence I gave up after 30 minutes as the way the feel of the film was I knew I wasn't going to feel any differently about it if I carried on watching & had zero interest in proceeding . The space race stories of NASA scientists Katherine Goble Johnson, Dorothy Vaughan and Mary Jackson went untold for decades until a few years ago. They proved to not only be trailblazers in their field during a tough time of racial discrimination in America, but also crucial to the success of NASA’s first manned space launch. This is a fascinating story that deserves to be known more widely in the areas of both history and science. 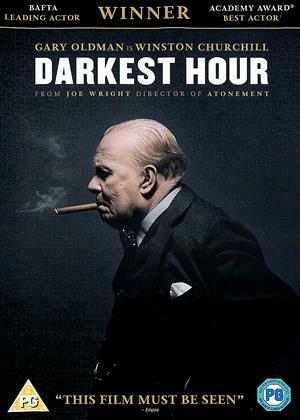 And while this movie will make these historical figures more notable and inspirational for years to come, it does so with a movie that is more crowd-pleasing than crowd-informing. I can’t exactly say I blame director Theodore Melfi for taking such a route, presenting a film that evenly touches on the racial issues, the hard science and the character dynamic. The leading ladies of Taraji P. Henson, Octavia Spencer and Janelle Monáe do an admirable job of portraying Katherine, Dorothy and Mary respectively. They play off each other well that it’s a shame we don’t see more scenes with them together outside of driving to work together or attending a church function. The three of them work in entirely different fields at NASA, leading me to believe they had even less interaction in real life than they do in this film. I almost wish the movie would have lied some more so we could see some of this trio playing off one another. The arc focused on most heavily is Katherine’s as a mathematician that proved her worth and then some to her tough-but-fair department director Al Harrison (Kevin Costner). She has enough smarts to calculate the toughest of equations, even under the down-lookers of her uneasy co-workers not comfortable with a black woman in their bullpen. It’s still a challenge though, especially when the only bathroom for colored people is a mile away. Of course, Costner must come to the rescue and smash the Whites Only sign to state how we all pee in the same toilet. It’s a scene that is both funny and powerful, as with nearly every scene that tries to be entertaining and historic. Katherine’s arc is so strong that it’s surprising the movie wasn’t solely her story. Dorothy’s tale of becoming a supervisor of NASA’s first computers is interesting and worth noting, but not nearly as intricate to carry an entire picture. Mary’s struggle with attaining a degree to become a top engineer feels as though it’s from another movie as her story doesn’t seem to conclude with space launch and is mostly forgotten amid the stronger scenes. Also wedged into the story are the racial riots of the time, but seen more from a distance as not to distract from the simpler struggles of trying to be promoted in NASA and pee in the same building. We don’t see much harassment in the streets, but we see plenty of Jim Parsons as a softly racist engineer trying to undermine Katherine and failing every time. The movie is still very strong, however, when it focuses more on the science angle and less on trying to be all-encompassing of the racism of the era. It’s exciting to be caught up in the excitement of Katherine’s math, scribbling on a chalkboard as the music builds towards the inevitable snap of the soundtrack as she circles the answer. There’s plenty of tension as the rocket launches and the directors make the tough call of whether or not to accept Katherine’s choices of trajectory. For as strong as the movie forces us to cheer for every single scene, it’s impossible not to be caught up in the plucky and determined nature of these women that did amazing things. Hidden Figures has already been promoted as a must for the classroom; several schools were given the chance to view the movie for free in theaters and are even being offered the movie on DVD for free to be seen in classes across America. And, yes, it is best suited for schools that want to hit a triple-hitter of covering science, history and female empowerment all in one neat little package. If the movie can inspire to such lengths, then it’s a littler easier to look past its made-for-moms format of pushing for a soft and cheer-worthy approach to such a powerful aspect of NASA history.